Our professional team of gutter repair experts provides services that lengthen the lifespan of your gutter system. Naperville Gutter Pros is a decades old gutter repair company that is well position to provide you with exceptional gutter repair to avoid the un expected costs of new gutter replacements that can easily happen when you do not conduct maintenance and repairs. Our gutter repair services are top rated and we perform education inspections to ensure that your gutters remain in place and working effectively and that your downspout extension and gutter drains are also in place an not filled with soil and other matter than can so easily cause drainage system problems. It snowed all winter and you conducted roof snow removal that may not have been efficient or safe and now your gutter is leaking. There is not place in your cutters that remains intact and is not leaking. Perhaps the snow lead to cracks and fissures in your gutters or stones may have caused damage and now you have leaks everywhere. We can inspect your gutters and improve upon their efficiency so that you are not holding your gutters together with ties and ropes and we can ensure that any caulking is fully restored to prevent water from seeping into your bricks or siding that will eventually find its way into the interior of your home. Unstable gutters mean your home is vulnerable to moisture and severe damage. You will also likely face drainage problems if your gutters are not properly attached to your roofing, sides of the house and at the base. We are a professional gutter repair service that is top rated in the region to ensure that your unstable gutters are accurately and efficiently repaired. Rain and melting snow need stable gutters otherwise you may be facing mold and mildew and eventually rotting that can so easily cost thousands of dollars of your resources. We are a fully licensed, bonded, and insured gutter repair service that is able to efficiently reattached and repair your gutters to protect your home. Downspouts extensions are a vital part of your gutter system and when they are in disrepair, the foundation of your home is in jeopardy from water damage. Fully functioning downspouts protect the foundation of your home and prevent any flooding in the area that can also lead to basement floods, soil erosion and other property damages. Don’t waste time trying to reattach your downspout extensions when you can hire Naperville Gutter Pros to conduct professional repair work that is accurate and efficient. We have decades of experience that ensure the integrity of your home is protected. 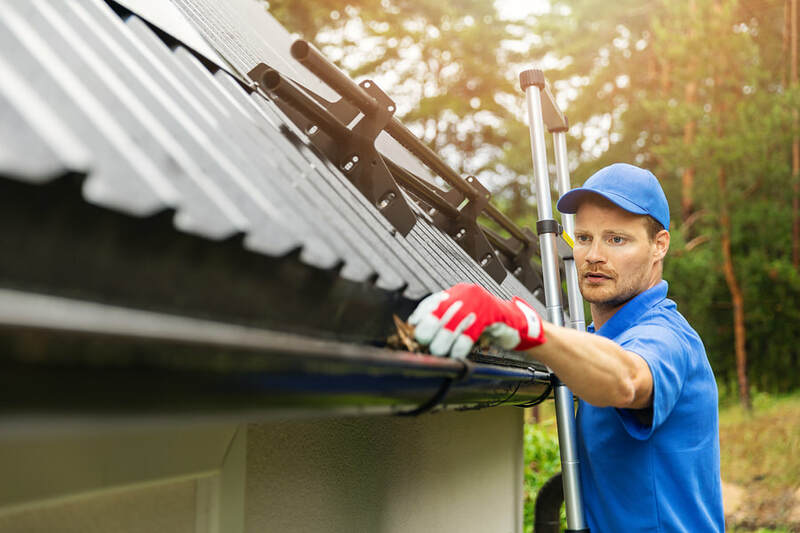 Gutter repair work is specialized and when you attempt do-it-yourself repairs you can often shorten the lifespan of your gutters and cause worse damage to your property. Naperville Gutter Pros offers clients exceptional customer services to protect your residential property. Your gutter drains are safe from additional damage when you hire us to repair them. Think of your gutter repair as an investment in your home’s structural integrity as well as its curb appeal. Mold and mildew have no place in your home and will be unwelcome when you hire a gutter repair service that is equipment with a wealth of knowledge and skill to prevent the water damage from unrepaired gutters that can invite these issues into your home.